Recently, I started using StumbleUpon. I know most of you have probably been “stumbling” for ages, but it’s all fairly new to me, and so far I like it. That’s not to say that it won’t go the way of Pinterest (for me) and fade into near oblivion soon, but for now? It’s fun. For me, it is most useful for finding incredible images that make you stop and say WOW. It’s packed full of beauty – such as this superb shot by the uber-talented Kate Bellm. 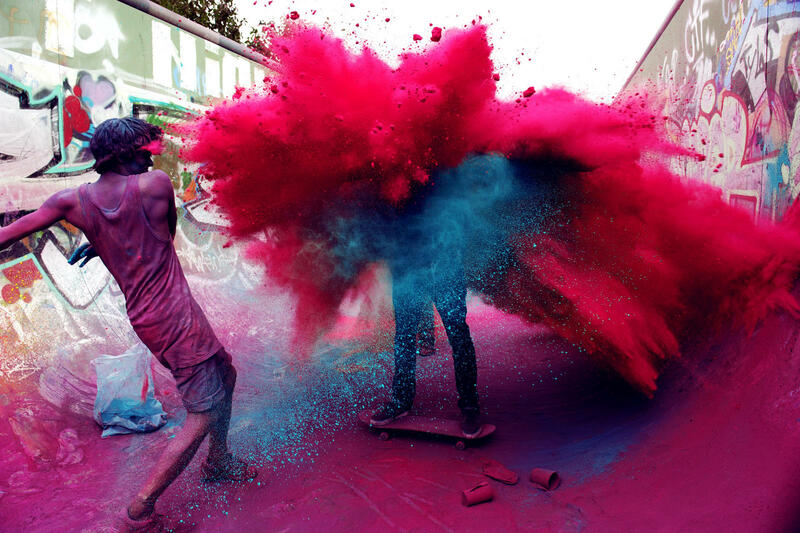 It was taken in Berlin while Street Artists had a “paint war”. I found the image on a site called Street Art Utopia, which I’ll probably now get lost on for hours. God bless the internet. It’s a thing of wonder. In Italian they’d say ciao! Hope you enjoyed that (come on over and say hello on Facebook or Twitter!